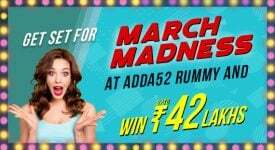 Start Ugadi on a shining note with adda52 rummy. 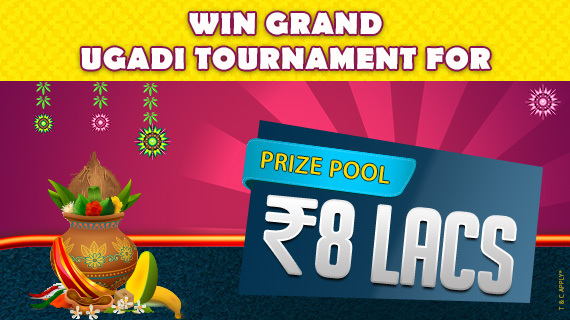 Begin Ugadi festival, the vernacular new year heralding the spring season with an awesome online rummy tournament for even more awesome amount of Rs.8 lakhs. It is a wonderful start for the New Year and for all you online rummy loving folks indeed!! Like with every other auspicious occasion or any celebratory event, adda52 rummy lives up to the expectations of a thrill seeking online rummy fan in full form. Though Ugadi is a festival celebrated in South India specifically, variants of this vernacular new year are spread over the country. And all these dates coincide, more or less, making it a continuity of celebrations across the country. This scenario leaves people in a continuous festive mood for quite some time. It is no surprise that people would actively seek entertainment and an opportunity for social connect during such occasions. 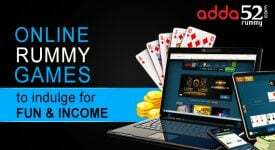 adda52 rummy sees this entire context as an opportunity to serve the large online rummy player base and subsequently, the grand Ugadi tournament hit the charts! 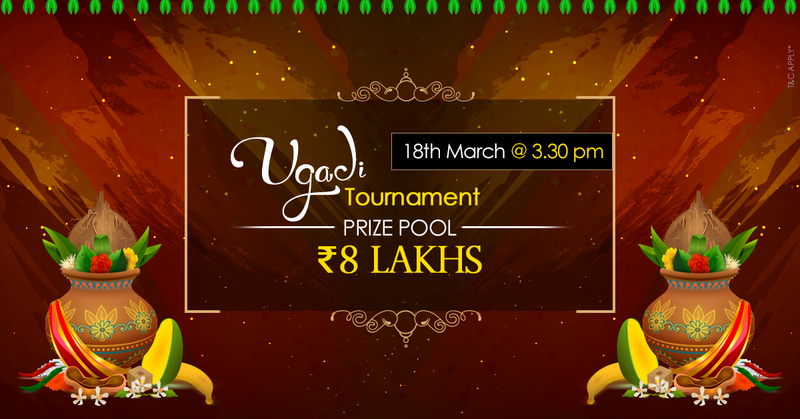 The Ugadi Tournament is being organized on 18th March and will commence on a celebratory note at 3:30PM. The prize pool for Ugadi tournament is pitched at Rs.8 lakhs, a splendid amount to mark the entry of a new season! 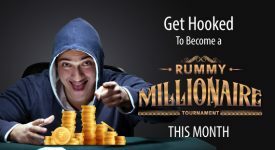 Especially for rummy fans who can’t get enough of online rummy tournaments! 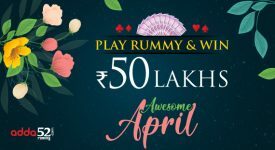 13 Card online rummy format will make this ugadi happier! The format of the game at the Ugadi Tournament is 13 cards. For other formats such as 21 cards, there are other tournaments happening in parallel on the site. 13 card rummy was chosen for the Ugadi tournament as the format is quite popular and people find it familiar and hence believe it is easy to win! To make the tournament simple affair, adda52 rummy has made entry free! The only criteria for players to participate in the Ugadi Tournament is that they should have atleast 8 loyalty points. Which is not a big deal if players start working on their tables right away and accumulate these points by 18th March. The Ugadi Tournament to win hearts with cross cultural appeal! 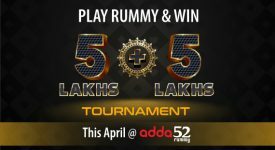 Adda52 Rummy believes in unity and hence is organizing Ugadi and Gudi Padwa for its Rummy players with a special tournament! No doubt, it is a fitting welcome to the spring season and all things new. Though the names are different, rituals may differ, the spirit of spring is common to both festivals. And that is reason enough to celebrate with online rummy. Appealing to players across States, the Ugadi tournament promises to leave players more exhilarated than the Ugadi festival itself! Adda52rummy has scripted history in maintaining online rummy player loyalty. Infact, Adda52rummy has always been a great champion of delighting its online rummy players and the trend continues. Long-time players on the site offer compelling testimonies of the site, the tournaments, the prize pools, and about how the site is extremely trustworthy, be it in keeping promises or redeeming cash. The excellent site architecture, user friendly site design, supportive customer service, quick and secure payments speak volumes in favor of the site! If you are a loyal adda52 rummy player, then look no further this Ugadi. 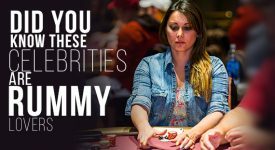 When the online rummy tournament on 18th March starts spinning, all those wishes from near and dear on having a prosperous new year are going to come true!